On the southern wall of my father’s living room in Maine hangs a lithograph by the social realist artist Ben Shahn. 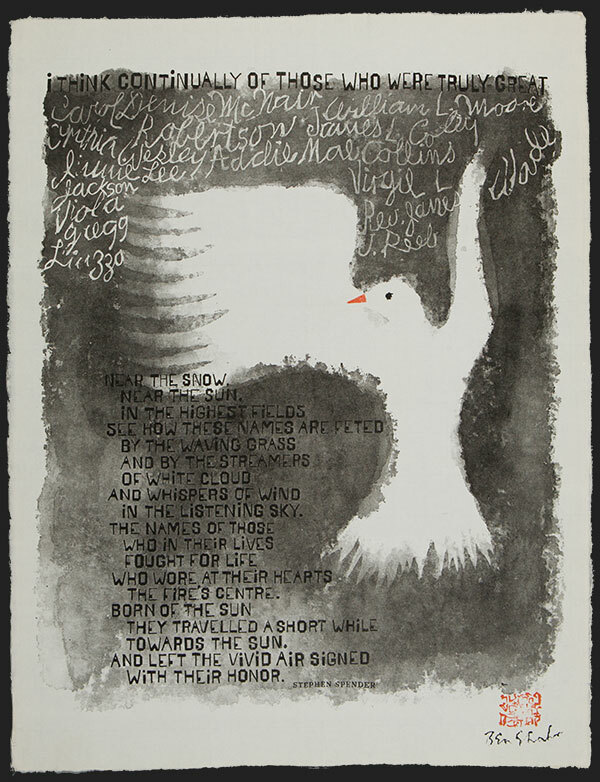 It depicts a dove, wings stretched outward, vaulted by the names of 10 victims of Alabama’s racial terrorism in the 1960s. The print was a regular topic of conversation for my father, my brother and me when I was a teenager — usually about the obligation of people born to privilege to commit themselves to justice. 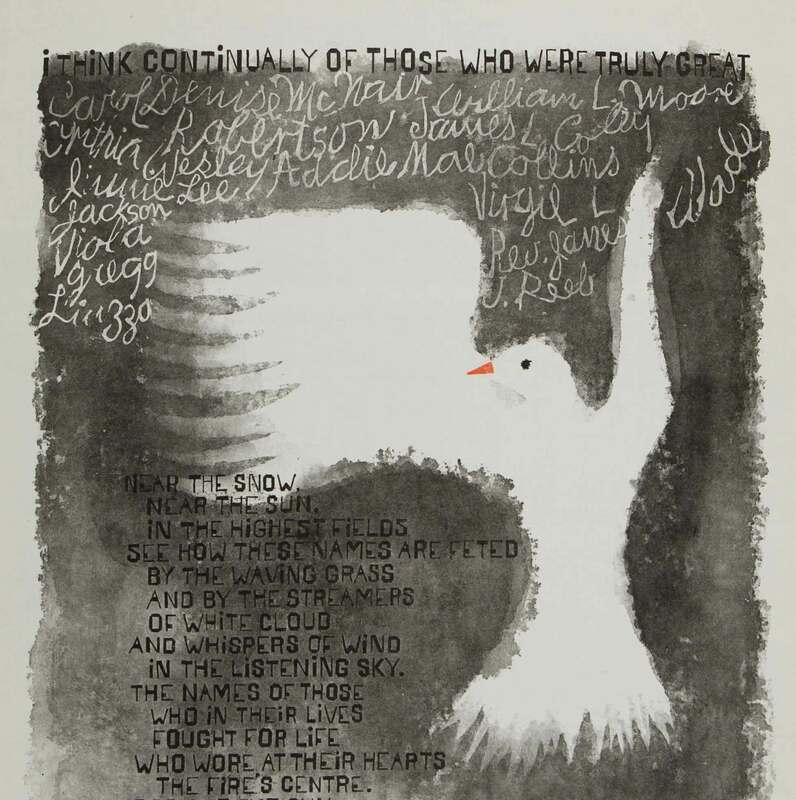 Titled after the Stephen Spender poem “I Think Continually of Those Who Were Truly Great,” the names, in their way, became an assembly of moral ideals for us. And from time to time, I’d search online for them as a way of learning about the civil rights movement, a time and a place that, from where I sat, seemed remote, maybe even unreachable. The names included the four girls murdered in the bombing of the 16th Street Baptist Church in Birmingham. Also there was Jimmie Lee Jackson, whose murder at the hands of Alabama state troopers is often credited with spurring the Selma-to-Montgomery marches. Among them, too, was William Moore, the postal worker murdered by segregationists in 1963 as he walked an Alabama highway on a lone protest march toward Jackson, Miss. My self-education was, to be honest, quite cursory. And there was one name on the print, James L. Coley, that my modest efforts could produce no record of. In time, I left home, went to college, and thought little of the print, or of Coley. This summer marks the 50th anniversary of Freedom Summer, the 1964 campaign led by the Student Nonviolent Coordinating Committee that brought hundreds of northern college students, mostly white, to register black Mississippians to vote. The anniversary has been dominated by reflections on another group of murders: Early on in the summer of 1964, segregationists killed James Chaney, a black Mississippian, and Andrew Goodman and Michael Schwerner, white northerners, as they drove to a bombed Mississippi church. The use of white volunteers had been a radical tactic: Placing themselves in harm’s way beside black activists, they calculated, would help force America to reckon with the depth of its racial injustice. A year later, in the summer of 1965, President Johnson signed the Voting Rights Act. Most agree that the presence of white activists — and perhaps more importantly the deaths of two of them — helped compel the passage of the legislation. But it’s not clear that Freedom Summer effectively altered what felt like the utter dispensability of black lives in the South — lives like that of the disappeared James L. Coley — so much as it reaffirmed the indispensability of white ones. It’s an uncertainty that had gnawed at my father, Stephen Wessler, for the last 50 years. My parents were raised in middle class families in Massachusetts, and like many Jews of their generation who grew up on the safe white peripheries of the racial upheavals of the 1960s, they held on to a vague sense of historical kinship with black Americans. My father recalls sitting as a boy on the floor of his living room outside of Boston, beside his mother, watching Walter Cronkite report the church bombings, Moore’s death, and then the murder of the three civil rights workers’. “Should I have your brother’s phone number just in case?” Moore had scribbled, referring to protection from Robert Kennedy’s Justice Department. “The letter was never answered and did not reach the president’s personal attention until after Mr. Moore’s death,” White wrote. 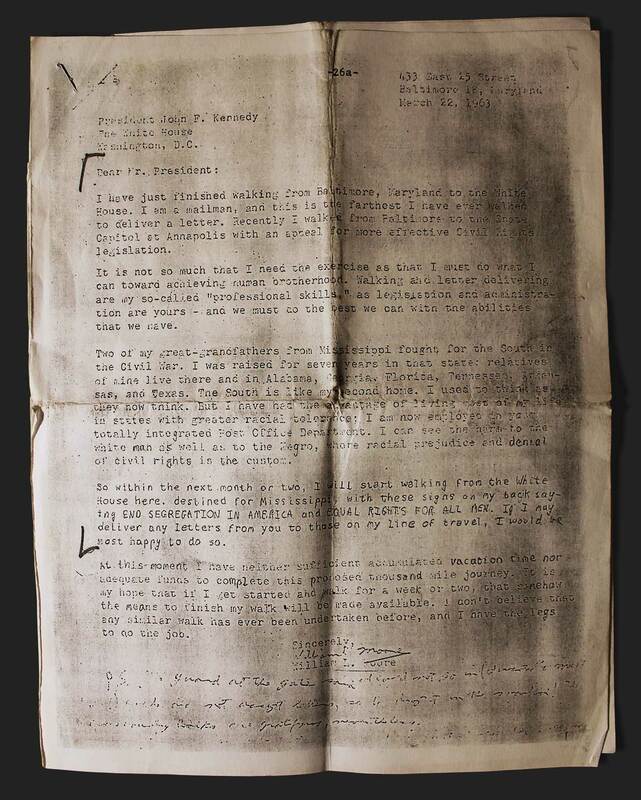 A copy of a letter to President Kennedy from civil rights activists William Moore, mailed just before he embarked on a lone march to Mississippi. Scrawled at the bottom is a hand written addition, asking the White House for federal protection. Moore was gunned down by segregationists weeks later. The letter was never answered. For my father, now 63, and for many white northerners, news of the deaths of activists like Moore had sent the deep South’s flames raging into white living rooms. Those flames, he said, were fanned by the sense that the federal government was doing little to stand up for blacks in the South or to force a civil rights agenda. After college, my father went to law school and took a job in the Maine Attorney General’s office, where in the 1990s he lead the civil rights division, investigating and prosecuting hate crimes. Thirty years after Freedom Summer, my father would tell the lawyers at the civil rights division about Moore’s murder and read them the letter, and the note from White. His aim was to the underscore the need for an urgent sense of responsibility. “If Kennedy’s office had made contact with the Justice Department, and the Justice Department had told the FBI to watch over this man, Moore may not have died,” my father would suggest to his colleagues. Alondra Nelson, a Columbia University sociologist, has studied the history of the Black Panther Party, spawned when Freedom Summer and other non-violent efforts that appealed for an end to discrimination began to feel to many like an inadequate strategy. She said the party’s work — one that challenged institutional racism in the North as well as the brute physical violence of the South — threatened many of the very liberals who’d thrown their weight behind Freedom Summer. Facing up to racism’s less obvious “tentacles” — in workplace hiring and promotions, in school discipline, in healthcare, and in government policies from policing to sentencing to housing — “has never been the American strong suit,” Nelson said. My father’s recollections of his own parents spoke to this ambivalence. My father is not sure how his parents came upon the Shahn print. It hung on their wall before he placed it on his. He knows that my grandfather, a cardiologist, had Shahn as a patient. Shahn by then was well known for his political and commercial art. The piece, then, may have been a gift from the patient. Or my grandparents may have bought it. “Images, photos and paintings like these — they re-center white people, over and over again,” says Martin Berger, an art historian at the University of California, Santa Cruz, who has written a book about visual depictions of the civil rights movement. “We rarely remember the more mundane parts of the civil rights movement, black power organizing, or the many deaths that did not get covered,” Berger says. We rarely remember the more mundane parts of the civil rights movement, black power organizing, or the many deaths that did not get covered. After paying little attention to the Shahn print in my father’s house for about a decade, I eventually found myself looking again for some trace of James L. Coley. With a bit more concentrated effort, it was not hard to find that Shahn had written the name incorrectly. He was referring, it appears, to a man named John L. Coley. The New York Times had reported his name as James as well in a brief mention of the September 1963 murder. Coley was 20 when he was killed. An army veteran who served two years in Germany, he’d returned to Alabama and found himself at a civil rights protest following the bombing of the home of Arthur Shores, a prominent black civil rights attorney. Police and protesters were injured, news reports say. Birmingham police said at the time that Coley had pulled out a gun during the protest. Eyewitnesses, including reporters, said that Coley had been unarmed, and was running from the police during the commotion. Officers shot him in his side and neck. Not far from where Coley was killed, President’s Johnson’s national guardsmen were on alert. They did not act. In 1992, almost three decades after Freedom Summer, my father investigated his first hate crime cases: an attack against an African American family in Portland, Maine, by white men with baseball bats; threats by white locals on Latino poultry workers in a small Maine town. He now works as a civil rights educator and advocate in schools and with police departments. Seth Freed Wessler covers poverty and inequality for NBCNews.com. 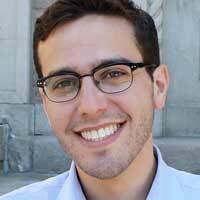 He previously was a visiting scholar at NYU’s Journalism Institute and a staff writer for Colorlines.com.